Scottish Water upgraded their old sand filters with two compact, fully automatic Alfa Laval AS-H Iso-Disc® Cloth Media Filters for tertiary treatment at their Fauldhouse wastewater treatment plant. The Iso-Disc filters deliver a far superior final effluent quality than what is required by the local suspended solids discharge criteria. 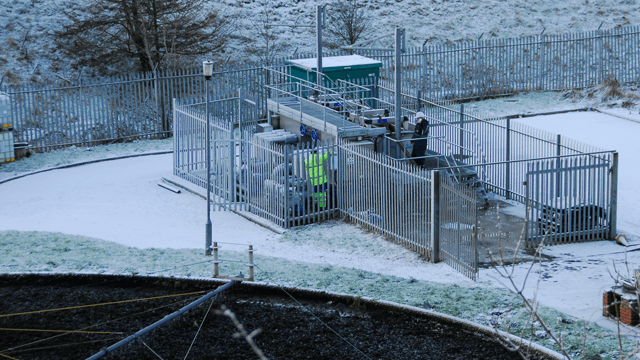 In 2013, Scottish Water’s programme delivery partner WGM Engineering selected the Alfa Laval AS-H Iso-Disc Cloth Media Filter as the preferred technology for removal of tertiary solids at Fauldhouse Sewage Treatment Works, which is located between Glasgow and Edinburgh in Scotland and serves a community of around 5,000 people. The two Iso-Disc filters replaced the original travelling bridge sand filters, which were nearing the end of their asset life. Although the Iso-Disc technology had been acknowledged and accepted onto Scottish Water’s tertiary solids equipment framework, to ensure best value WGM Engineering also approached other suppliers of tertiary solids removal equipment for competitive prices. After the competitive tendering process and subsequent technical appraisal, the Alfa Laval AS-H Iso-Disc Cloth Media Filter was selected as giving best overall value for this particular scheme. Two Iso-Disc filter units, each equipped with 5 pcs. 900 mm square discs, were supplied in the middle of 2013 to handle a total peak flow of 41 litres/second with a maximum of 50 mg/l inlet suspended solids. The two filters each cater for 75% of the full duty required, thus providing back-up capacity for maintenance. The effluent treatment process at the Fauldhouse plant consists of a fixed film trickling filter process followed by two pyramidal final effluent settlement tanks. The final effluent from the pyramidal settlement tanks is pumped to the fully automatic Iso-Disc units which filter the effluent continuously from the outside to the inside. The filter elements are fully submerged and utilise depth filtration using a pile cloth media for removal of suspended solids. The filtered water is gravity discharged into a local stream. The units remain in operation even during cleaning of the cloth media. upplied in the middle of 2013 to handle a total peak flow of 41 litres/second with a maximum of 50 mg/l inlet suspended solids. The two filters each cater for 75% of the full duty required, thus providing back-up capacity for maintenance. The effluent generated by trickling filters has very fine particulate suspended solids compared to an activated sludge effluent, and can be regarded as a difficult effluent to treat. Contractual performance tests were successfully completed in the autumn of 2013 where the two Alfa Laval AS-H Iso-Disc Cloth Media Filters had demonstrated their ability to treat the final effluent to 18 mg/l 95%ile against a required standard of 25 mg/l 95%ile. Subsequent to installation and successful commissioning, a number of improvements were made to the process and to the control of the unit, in order to achieve a better and more reliable monitoring capability for the operating staff at Fauldhouse. 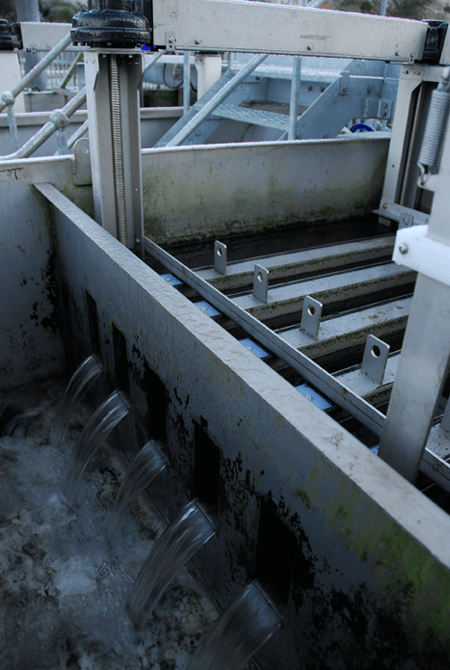 Improved monitoring and control of the cloth media backwash system was implemented; control software modifications and other control panel improvements were also made to allow better operator monitoring and control. The tertiary solids filtration equipment was kept operational throughout the installation phase and the plant was kept within its discharge consent. ng of the unit, we have also witnessed a significant improvement in the Iso-Disc filters’ suspended solids capture rates: They now deliver a superior effluent quality with suspended solids of 10 mg/l 95%ile compared to the already satisfactory 18 mg/l 95%ile achieved during the takeover performance test. 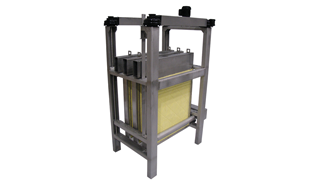 Further improvements in suspended solids capture are expected as the operational parameters of the Iso-Disc filters are fine-tuned over time. This level of performance would not be achieved by traditional woven textile disc filters. The Iso-Discs installed by Alfa Laval on our wastewater treatment site in Fauldhouse West Lothian fully meet the design criteria stipulated by Scottish Water. From an operational point of view the Iso-Disc filters are easy to operate and although there were a few snags to begin with they are now a very reliable part of our treatment plant. The effort and commitment we received from Alfa Laval during and after installation has to be commended.